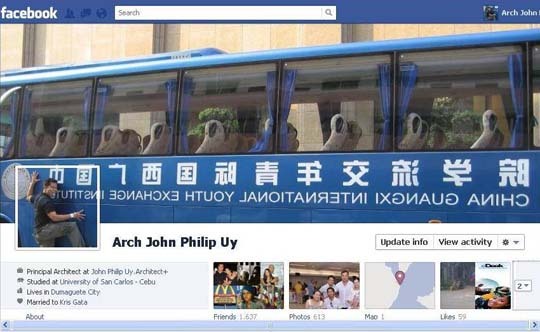 A few months back, we saw a huge Facebook redesign. 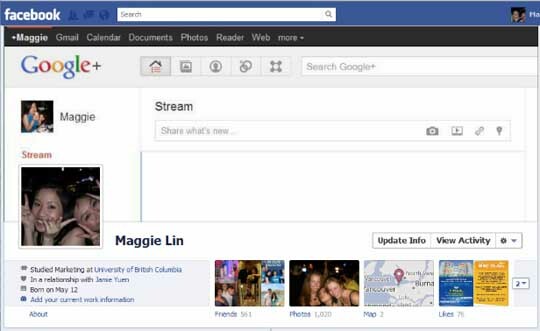 Yes, we are talking about the new Timeline feature, which Facebook CEO Mark Zuckerberg introduced at the F8 conference. According to them the new updates provide a better experience for the end user. Well, we all love Facebook, but the thing we hate about it is the new features that are constantly being implement. And the worst part is that the new layouts are always confusing. 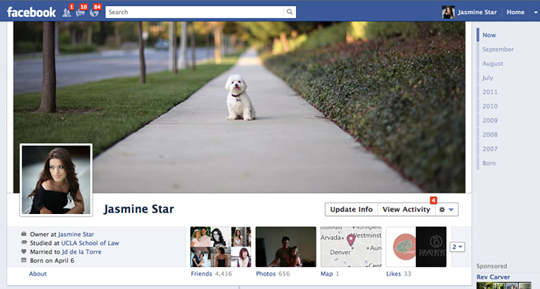 Can’t they just leave Facebook alone and stop revamping it every now and then? Twitter also saw a major revamp a few months ago, but it was quite easy to learn. Anyway, lets talk about this new Timeline feature — in detail — and discuss its pros and cons. Facebook Timeline is a unique feature which simply puts the whole ‘story of your life’ in front you as well as your friends. 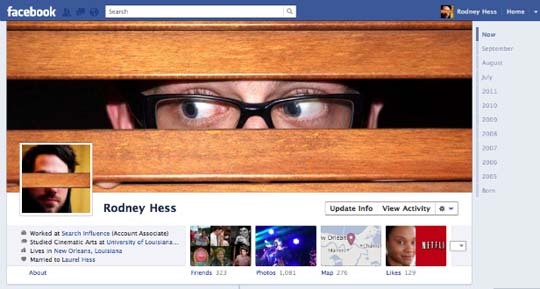 Privacy has always been a issue on Facebook, but now the Timeline completely diminishes it. If you think about it, your life is actually given to advertisers who can then target you based on your history. Quite creepy, right? This is one thing that makes everyone think twice before activating the Timeline feature. Now let’s look at the other side of the story. The video on their Introduction Page, we see a young boy growing up while everything he has done being archived. In this way his life has been turned into a digital scrapbook. In short, it displays everything since the time you first joined Facebook. In reality it cannot be earlier than February 4, 2004, when Facebook was launched. This feature was rolled out the general public on October 6th, and before that it was only available for developer as it was in the beta phase. 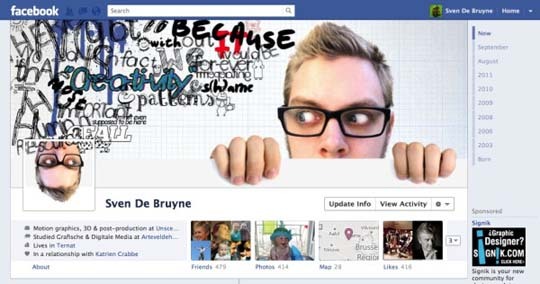 Facebook was also sued by Timelines.com on having a ‘Timeline’. 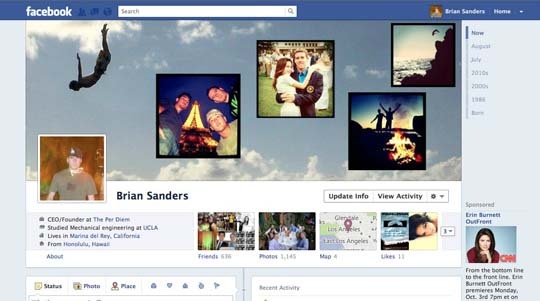 This new feature also gives it users an opportunity to personalize their Timeline. You can now show your creativity, as you have the ability of creating your own amazing Timeline design, and be cooler than your friends. 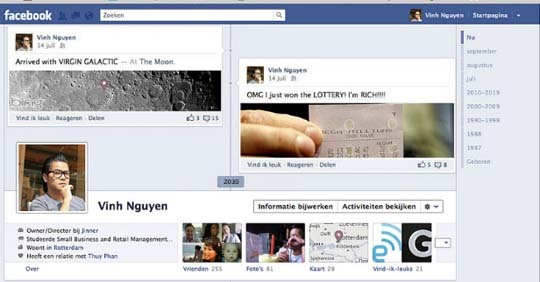 We have collected some awesome examples of Facebook Timeline designs, for you to get inspired from. Note: In order to respect the users privacy, we will not be linking to their Facebook Profiles. 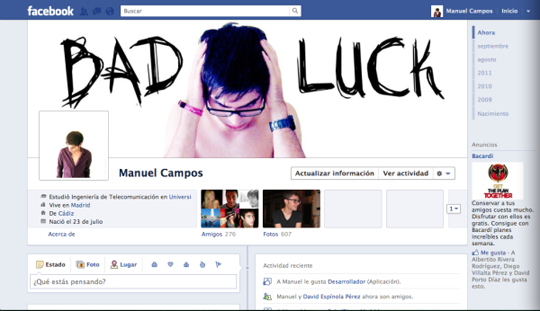 I love facebook new design, specially its time line feature. Anyways todays hot news is that CEO and Founder of Facebook Mark got married yesterday. Thanks for your article. It’s definitely helpful. I liked couple of the examples above. These designers are truly amazing.